All are welcome at Imaguru between 11:00AM and 5:00PM. 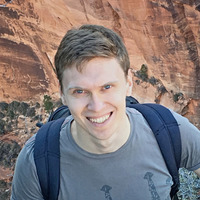 If you happen to be in the area, stop by and get to know your colleagues — including Dmitrii Cheremushkin, a QA automation engineer with Toptal. A photographer will be there from 2:00 - 3:00 to take professional headshots. If you are interested in updating your professional headshot, wear business-casual clothing.